"What page are you on?" isn't quite as catchy yet, as that credit card commercial hook using, "What's in your wallet?," but the Kentucky Agricultural Council is asking its members to find their page and place and begin work in this first year of the state's 5-year strategic plan for agriculture. Feldhaus visits with Ag Council Chair, Dr. Tony Brannon, as the group gets rolling in its first year. 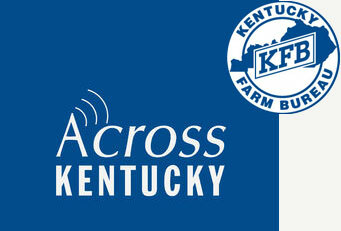 The Kentucky Ag Council rolled out its 5-year strategic plan at a news conference in Frankfort a few days ago. Feldhaus covers a few of the key elements with council chair, Dan Flanagan, and has several comments about the document from Governor Steve Beshear. A series of regional input forums continues this week in Murray, Henderson, and Bowling Green, as the Ky Ag Council seeks ideas and comments from the general public as it develops its next five-year strategic plan for Kentucky agriculture. Comments from Calloway County farm leader Sharon Furches, one of the KAC strategic plan co-chairs. The last three regional input meetings for the Ky Ag Council's Strategic Plan for Agriculture will be held this week in Laurel, Rowan and Franklin Counties. Feldhaus discusses the process with Task Force co-chair, Todd Clark, a farm entrepreneur from Fayette County.